Market regulator Securities and Exchange Board of India i.e. SEBI has passed a consent order regarding the Reliance Infra, RNRL . It is said that they showed misrepresentation of investments. 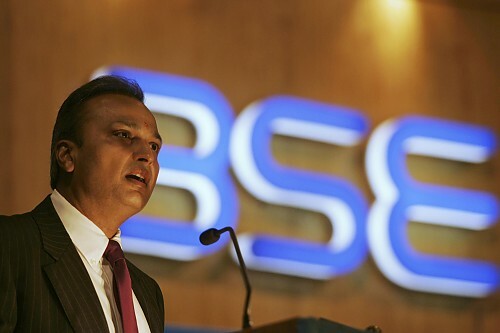 According To SEBI Statement : Anil Ambani and four board members of Reliance Natural Resources Limited (RNRL) have been barred by the Securities and Exchange Board of India from investing in the stock market till December 2011. The four board members who have been banned along with Group Chairman Anil Ambani are Satish Seth, Lalit Jalan, SC Gupta and JP Chalsani. Reliance Infra, RNRL, Anil Ambani and four other directors have paid settlement fees of Rs 50 crore towards the consent order. After this order, Reliance Infra and RNRL can’t make investments in the secondary markets upto December 2012. And Anil Ambani and four directors have been barred from investing in secondary market until December 2011. SEBI said that its investigation revealed that Reliance Infrastructure and RNRL (which has now been merged with another group firm Reliance Power) were prima facie responsible for misrepresenting the nature of investments in ‘yield management certificates/ deposits’ and the ‘profits and losses accounts in their annual reports for the years 2006-07, 2007-08 and 2008-09. While RNRL and its directors were asked to pay Rs 25 crore as settlement charges, Reliance Infrastructure and its directors would pay another Rs 25 crore. SEBI said that the consent order was without prejudice to its right to initiate enforcement actions, including reopening of the proceedings pending against the entities if any of its terms are breached or any of the representations made before it are found to be untrue. I know I have taken the RNRL share….I m no where now due to low price of this…who is responsible..Mr. Anil Ambani…. They are not ethical leaders in business world.